These photo wreaths are easy to make and are a beautiful gift idea for grandparents or other family members. They look ADORABLE on the tree. 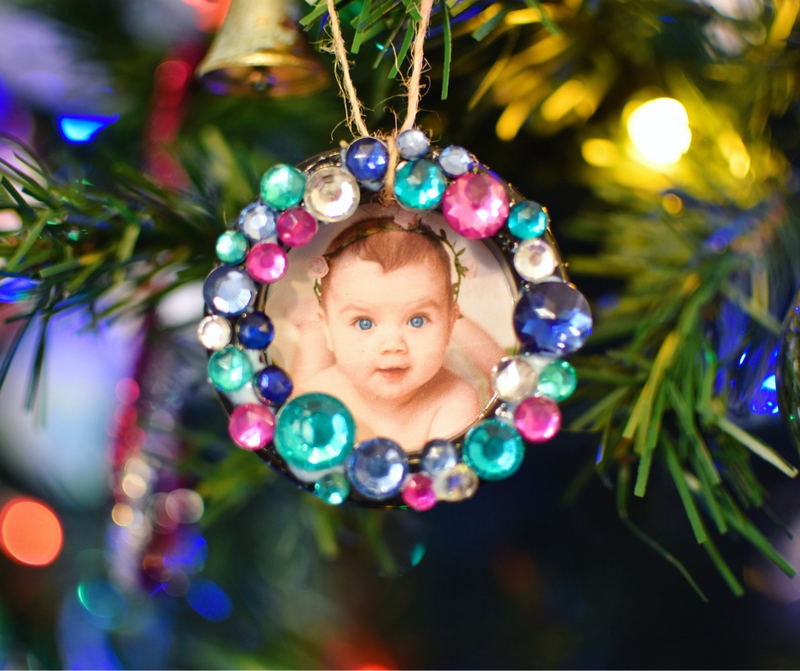 Use a photo of your child you have on hand, or simply print your favourite picture on regular paper. 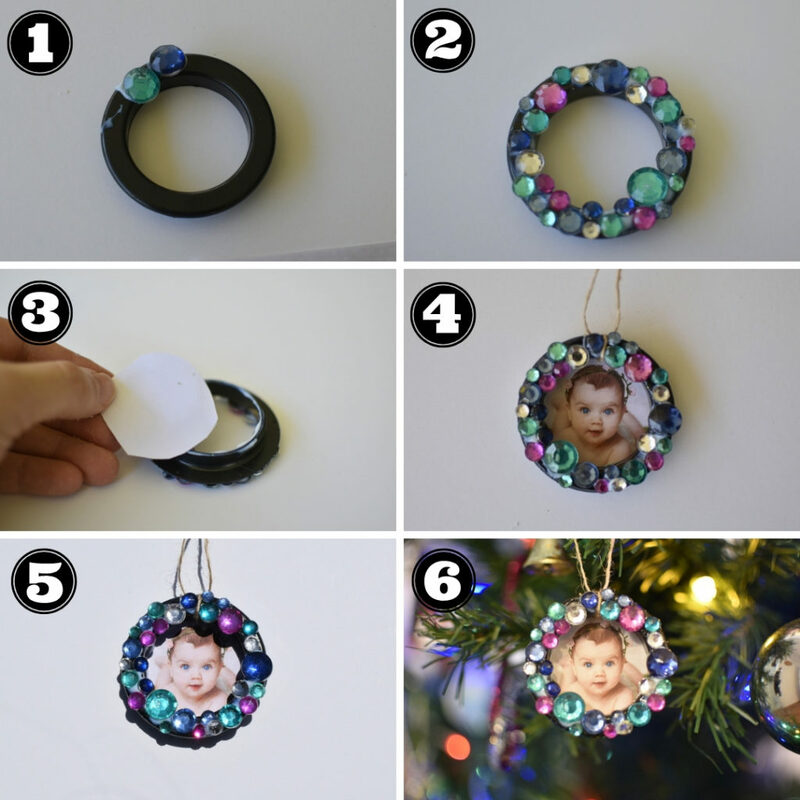 It’s super easy to make these handmade decorations with plastic curtain eyelets you can buy cheap from places like Spotlight. 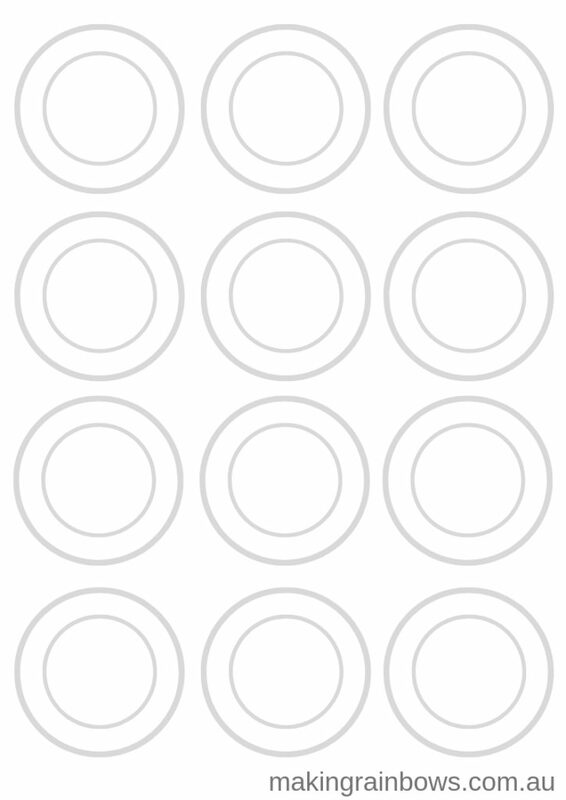 Otherwise, print the template below on cardstock (not too thick so it’s too hard to cut), and cut to size. 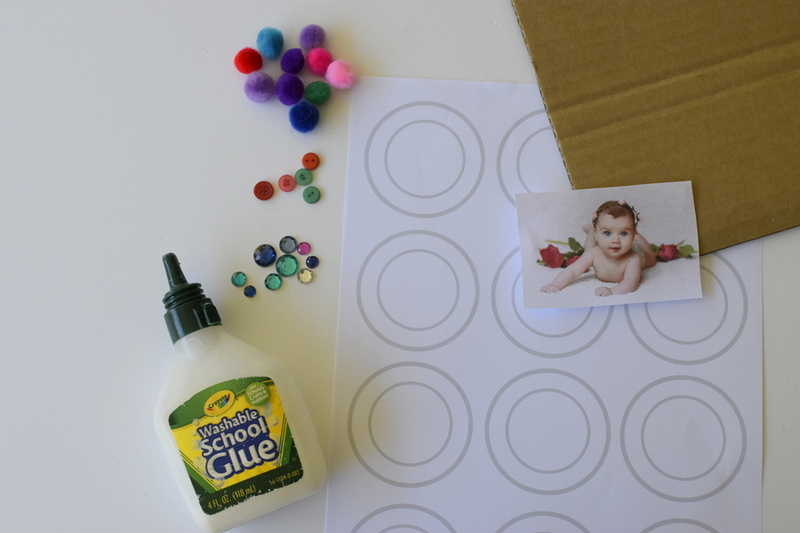 Use glue to decorate the circle. Fill any gaps with smaller material if desired. 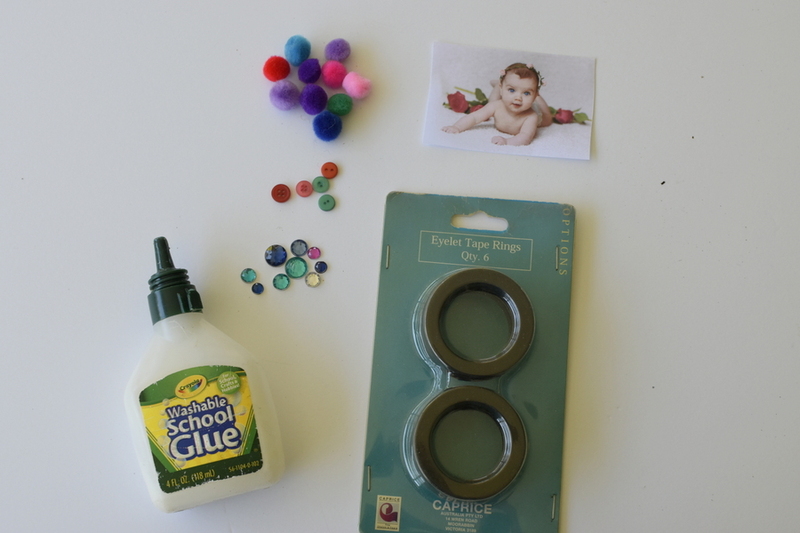 Cut the image to size using the circle as a template and glue to the back of the wreath. Add a piece of string or ribbon to hang. Tip: Use a permanent marker to put the date on the back so each year when you bring out the decorations, you can remember.